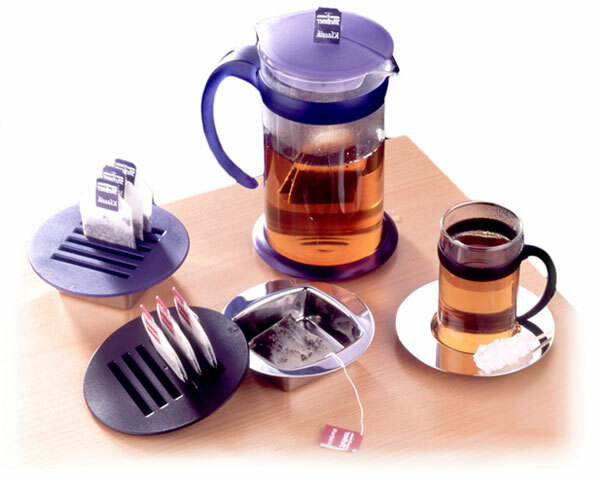 Tea and koffie set complete with cups, tea-bag holder, sugar doser and milk dispenser. The tea-bag holder displays the tea-bags whilst hiding the used teabags within. The teapot has a large tea infuser ‘hanging’ on a string. 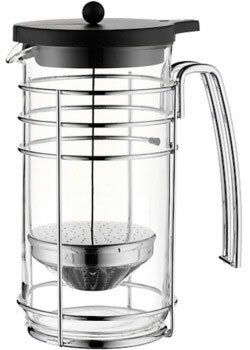 When your tea is done brewing, you simply pull the infuser up (in the lid) and clip the string in.